It has been a year now that PTM and its supporters are on roads for their rights. There raises a question that how much the movement is successful in the achievement of its demands? And how far the movement has gone to pursue those demands? Pashtun Tahafuz Movement (PTM) which gained popular support within the Pashtun community in the quest for demanding justice for the extrajudicial killing of a young Pashtun, Naqeebullah Mehsud, in Karachi. It has been seen that this movement was not started with Mehsud’s murder case, but before that when people of FATA were facing discrimination and receiving inhumane circumstances during the operations against terrorism. The movement was launched in 2014 by Manzoor Pashteen, a young activist from South Waziristan. It was named Mehsud Tahafuz Movement at that time but later in January 2018, with the murder of Naqeebulah Mehsud in a fake encounter by Rao Anwar has turned it into a widespread movement of Pashtuns, the movement was renamed into Pashtun Tahaffuz Movement (PTM). Following the death of Naqeebullah, Manzoor Pashteen launched a march from Dera Ismail Khan on 26 January 2018 to Islamabad. In the capital, they made a 10-days peaceful sit-in. After that, they made a huge demonstration in Peshawar on 10 April. 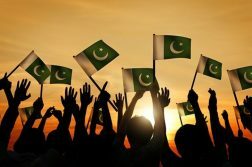 The main slogan of the movement is ‘Da Sanga Azaadi Da’ (what kind of freedom is this?) which reflects the issue of rights of Pashtuns. Pashteen said that PTM is demanding for constitutional rights: “We want our issues resolved through the Constitution and according to the country’s laws”. • The mistreatment of Pashtuns at army check posts should come to an end. Pashteen claims that almost 32,000 Pashtuns have gone missing from FATA alone and it is a considerable number to be taken under observation. Pashteen asked that all the missing persons should be brought before the court and if found guilty then they must be punished according to the constitution of Pakistan. Landmines which were placed by the army and the Taliban in the area of FATA during the war on terror, have costed the lives of people there, PTM demanded that landmines should be removed immediately. The behavior of army at check posts is very inhumane which need to be ended. Despite the victims of terrorism, Pashtuns are perceived to be guilty and are paying its cost through their blood. Pashteen said that it is just like a Pashto proverb, ‘Marr hum za yum, parr hum za yum’ – it’s ironic that Pashtuns were massacred in drones but blamed for it too. On 3rd June 2018, the rally of PTM was targeted by gunmen in Wana, the capital of South Waziristan, killing at least three PTM activists and more than 20 injured. Manzoor Pashteen blamed Tehrik-i-Taliban Pakistan and the army for the attack. PTM has majorly targeted TTP (often referred to as the Pakistani Taliban), the Pakistani military and the Pakistani state for all their grievances. PTM is of the view that their demands are totally democratic in nature. 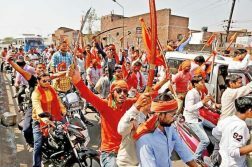 On the other hand, the security officials of Pakistan opines that the movement is being exploited by hostile foreign agencies to destabilize Pakistan. A day after the attack at Wana, the chief spokesperson for the Pakistani military, Major General Asif Ghafoor, stated that the PTM had been manipulated by the “enemies of Pakistan”. He was specifically referring to Afghanistan, which has openly supported the PTM. Afghanistan is suspected of attempting to stoke an uprising to further its irredentist claims over Pashtun areas in Pakistan. 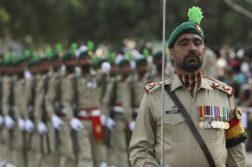 Pakistan military is calling it a ‘hybrid war’ initiated by its neighbors against Pakistan. PTM has often stated that their members have been arrested and harassed to sabotage its protests. PTM is the first ever movement which is most vocal because it has affected the grass-root level and has challenged the state regarding the constitutional status of FATA. The whole movement is majorly run on the social media as the mainstream media has not given coverage to the PTM rallies as much. The PTM has emerged as the main force for the Pashtun’s rights. 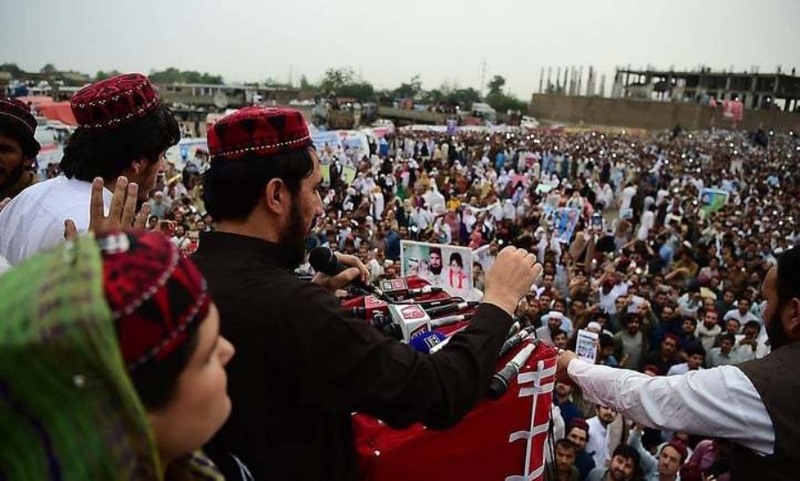 PTM has received support from different other organizations like Lal Salaam, the Pakistani branch of the International Marxist Tendency, and the religiously conservative Jamiat Ulema-i-Islam (F). The leaders of PTM stated that they are demanding just constitutional rights as the movement emerged due to the exploitation of their fundamental rights. The military elites still have an opportunity to correct their wrongs and choose the right path. Otherwise, PTM would take this issue to the United Nations if the state of Pakistan failed to address their issues. The movement has also called for the formation of a truth and reconciliation commission to settle their demands with the state. Pakistan should focus more on the welfare of its citizens rather than this endless war. PTM has been successful in attaining some of its demands. The army had released more than 200 men in the initial period of its protests. They also cleared the South Waziristan agency from landmines. Check posts has been given to Frontier Corps (FC) and later would be given to police which is under development. NADRA cards are being issued to the people of FATA replacing the Watan cards. The major achievement of all is the merger of FATA into KPK. National assembly and Senate have passed the FATA Reforms Bill. On 31st May 2018, president of Pakistan has signed the 25th constitutional amendment bill into law, which merged the FATA into the Khyber Pakhtunkhwa province. It was a first step towards the rights of Pashtuns. The government took them seriously an included them into the mainstream politics. But this is not the end, there is a long list of demands that are still remaining to be addressed. Most of the demands of PTM are not met which creates a sense of anxiety in the Pashtuns. Rao Anwar has been released and there are still thousands of missing persons who are in dire need of justice. Removal of landmines has been started and completed to some extent but still not fully acquired. Instead of forcefully suppressing this movement, the government needs to deal with PTM appropriately and fulfill their demands according to the constitution to bring them under the umbrella of one flag. Pakistan should not give a chance to its enemies to intervene in the country and sabotage the peaceful environment. Therefore, it is very necessary to calm this movement by fulfilling their demands and making them equal citizens of the country.